Streaming music is the future. With the fast development of streaming audio services like Spotify, Tidal, Pandora, Apple Music, it has never been easier to get access to unlimited audio tracks. People gradually change the habit to listen songs online instead of playing them from local CDs, cassettes. However, there is still a big portion of people who don't feel safe to keep songs online due to the low network speed or any other possible reasons. They like the privilege to enjoy unlimited songs but they also want to save a copy of the songs so that they can access to them anywhere anytime. When it comes to backup streaming music offline, the two technologies behind it are recording or downloading. Take Spotify for example, you can download the Spotify songs from YouTube or record any playlists from Spotify official music platform. Obviously, recording is a more popular solution because it enables you to get all kinds of tracks while downloading resources are limited. Here we have put together the top 6 best free and paid Spotify music recorders here to help you pick up the right one more easily. DRmare Spotify Recorder take the throne of the best Spotify ripper for its overall features and performance. It is specialized for downloading Spotify songs, playlists, albums, artists and so on. The screen is so clean and beautiful, you won't be confused with any bells and rings. You just need to drag & drop your tops to start converting and saving the Spotify songs offline. To meet the requirements of different users, it offer multiple output format options such as MP3, M4A, M4B, AAC, FLAC and WAV. Also, it is easy to customize the bit rate, channel, sample rate, archive output files by album/artist. The best part of the software is that it converts songs at an up to 5X faster speed while keep original quality including all the ID 3 tags, metadata like album, artist, title and much more. And you don't need to sign up to Spotify premium membership to use it. Though it is not free, it saves you a lot of time and energy. If you cares about your time and the music quality, you should definitely take a look at it. * It costs $19.95 for a lifetime use or $9.95 for 1 year use. This is probably the simplest Spotify recorder. It is developed by a person for converting Spotify songs for personal use such as playing on MP3 players or on the car. You can one click to record Spotify tracks directly from the sound card and add the artist info automatically. Similarly, you don't need a premium account to do that either. Just play your songs and then click "Start Recording" button. According to our test, it works perfectly on Windows 32/64 bit system. However, it haven't been updated for about 2 years, so it may not be compatible with the latest Windows 10 system. Audacity is originally known as a powerful and free audio editor which runs on almost any platforms. But it also has the best tools to record live audio through a microphone, mixer or digitize recordings from other media services like Spotify, Tidal, Soundcloud, YouTube and so on for free. With the audio wave display window, you can monitor and analysis the recording in a better and easier way. After recording, you can trim, cut and rearrange the tracks, adjust the pitch, bass in an easy way. When it is done, you can export the songs in WAV, AIFF, MP3 or AAC etc. The drawback is that the audio quality maybe affected, you may hear some noise on the exported songs. 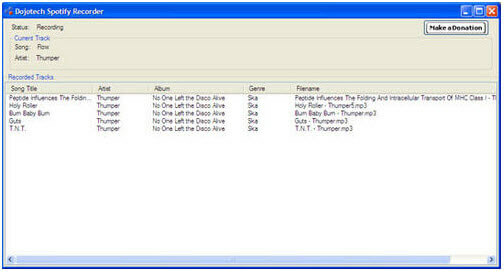 It is specialized for capturing songs playing on your PC to high quality MP3 files. It works with video, audio web sites like Spotify, YouTube, VEVO, Vimeo or local players and promise high quality. During recording, each song will be tagged automatically with the artist, album, song title, genre and any other info. Besides, it can split tracks, burn CDs, preview and play tracks which is really convenient. However, it is not perfect either. During our testing, it is not so stable, sometimes it just close without any reasons. Similarly, it also costs $29.95. This is another Spotify ripper which can save songs from many audio sites with accuracy of ID3 tagger. It has much more features than free recording programs. It combines two audio recording processing cores to analysis and cut out the noise during recording. Besides, it has the useful features to remove ADs, make ringtone. The drawback is that it costs $25 which is not free for some users considering that most free alternative available. Compared to the paid version DRmare Spotify Music Recorder we mentioned above, Cinch Audio Converter doesn't have 100% output quality and it takes real time to record. But if you'd like the extra features like making ringtone, you can take a look at it. 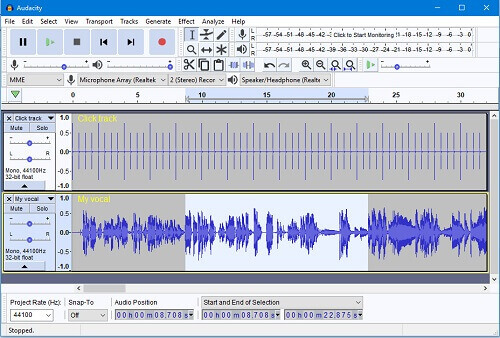 Developed by the Dojotech company, this is a very similar free audio recording software like Codeplex. It can smartly detect the tracks when Spotify is playing and save the song to MP3. In addition, it can automatically tag the downloaded songs with the genre, album and other info. Last but not least is that it allows you to change the record folder, choose recording device, adjust bit rate and so on. Unfortunately only Windows XP and lower versions are supported. Unless you have an old Windows computer, this software maybe of no use to you. But it does offer a good solution to rip Spotify music for the users who only have old Windows systems. What Is the Best Audio Recorder for Spotify? These are the top 6 best recording programs for Spotify we pick up from couples of streaming recorders. Of course, there are many software we didn't list here such as the online web recorder Soundiiz.com and music recorders for Android/iPhone. But from my point of view, they don't have a good user experience. Anyway, you can pick up one from the 6 tools above to enhance your listening experience. 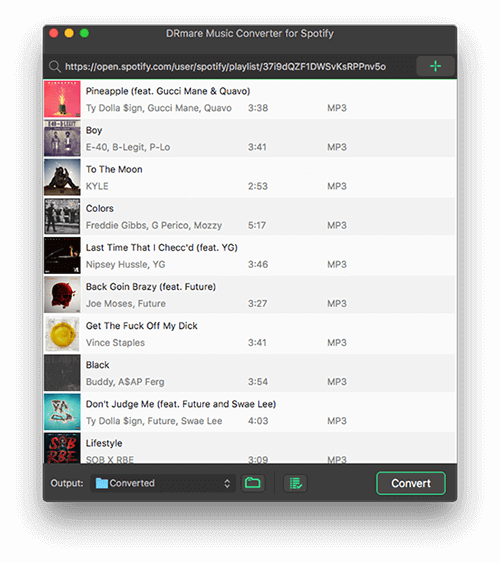 If you'd like to have best quality and highest converting speed in backing up Spotify songs, I will highly recommend the DRmare Spotify Music Converter. 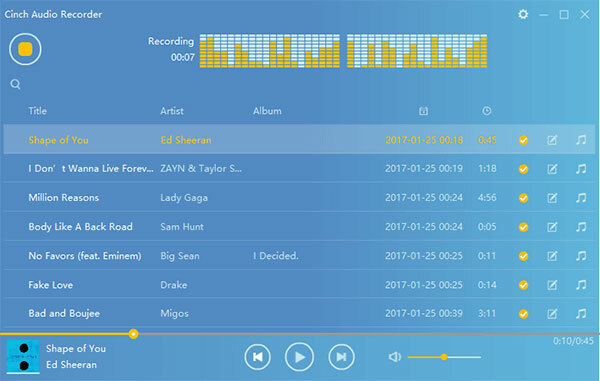 If you'd like to have high quality songs but don't care about spending some time to get your songs, Cinch Audio Recorder or Replay Music will help you well. 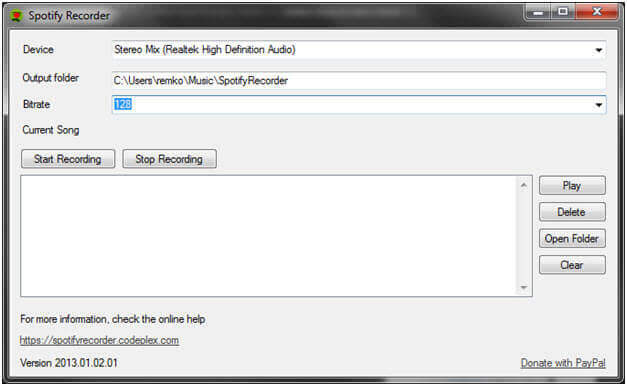 Else If you just want free tools, you can take a look at the Audacity/Codeplex Spotify Recorder and so on. Any questions about these programs? Just let's know your thoughts on the comment section.